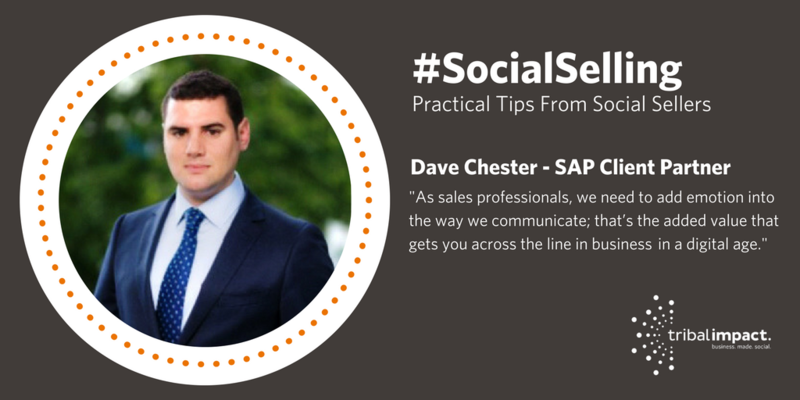 As part of our Social Selling blog series, I interviewed SAP Social Seller Dave Chester, a client partner for the company in Australia. What struck me most about this interview is Dave's natural ability to sell in a social way. His passion for technology and his ability to communicate has found him a perfect role but he doesn't stop there. Let’s start with background Dave, what are you responsible for at SAP? I’m a client partner at SAP. I live in Melbourne, Australia and look after the southern region. My focus ranges from start-ups to scale-up businesses and I’m responsible for bringing in their custom. I aim to show that SAP isn’t just for the top guys. These newer and/or smaller businesses can use SAP to develop and grow their customer base too. What got you involved in sales? I’ve always loved tech; playing on phones, finding ways to customise them for friends and family to make their life easier. I also enjoy interacting with people and learning about how I could potentially help them. I’ve never done what I’d call “straight-up sales”. With me, the passion comes from providing adaptable and tangible experiences. My mum always told me “people won’t remember you otherwise”. We need to add emotion into the way we communicate; that’s the added value that gets you across the line in business. I had some exposure to Social Selling in my previous role in Linfox, but it was the Sales Academy at SAP that really introduced me to the concept. 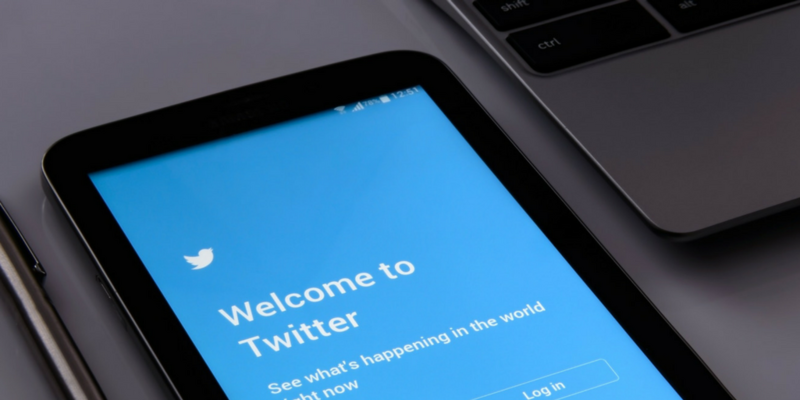 What is Social Selling in your own words? It’s several things: it’s about establishing a footprint, connecting with new customers and providing information to people. It’s very similar to networking, but it’s done online. If you understand how to read about a company, find the relevant people and establish trust then you have the skills to do Social Selling. The same skills mean you know how to connect the dots at different levels to help you to find the influencers but also those who can give you access to the influencers. I guess I think of every company as a tree – if you understand the roots, you get access to the branches. LinkedIn Sales Navigator is great, but for me, Social Selling is bigger than one thing. I use a combination of tools – LinkedIn Sales Navigator, Grapevine 6 to aggregate content and Digitalist Magazine as a content source. I spend my time searching out customers, reading newspapers, articles, understanding the landscape of the business first. This allows me to then justify my place in the conversation. I’m always careful to use language that they can relate to and then I use Navigator to tailor my search. I look for people who are active and engage with their blogs and posts. Just keeping in touch really. You talk about sharing content – tell me more about that. I love sharing quotes, inspirational quotes. And it’s obviously important to be right there with the breaking news. Be the first to share it. I also love news about technology and how it helps businesses and I love aviation, so you’ll see that thread in my content too. By personalising what you send, you create your own brand. You have to define who you want to be so that you can have the conversations you want to have. But, importantly, you have to be genuine. If you can’t be real with it, don’t do it. What best practice can you share? I use InMail a lot. I take the time to tailor it and make it relevant to the audience I’m reaching out to and I’ve also started to use video to engage and that’s getting good results. Video is a great way to build a ‘rapport’ with someone you haven’t met. I always end with “and if you feel this is relevant to your business….” Or “any form of response is welcome…” I make the call to action clear; make sure people then really know what’s being asked. I can think of one particular case where we had a prospect. We had no prior knowledge of the account, it was completely new to us. So, we needed to listen, learn about the business and search out the people. We had no engagement there or any sort of foot in the door but by using the techniques I’ve mentioned, we managed to secure a meeting. Now we have a relationship. Social Selling really works. On average, I tend to spend four and a half hours a week on social. This is mainly helping people out, sharing information and identifying areas in which to build synergy. I’m always focused on delivering value though; it’s not about me, it’s about my audience and supporting them. What advice would you give to someone not yet convinced about Social Selling? Thanks for the interview Dave. It was such an engaging interview - even at 5.30am in the morning. You can follow Dave on LinkedIn and Twitter.